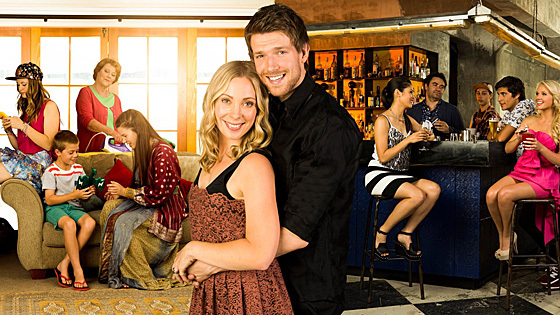 Meet Dave, a 24-year-old Kiwi slacker whose life is turned upside down when he meets the woman of his dreams, Cara — 15 years his senior with three kids and some serious baggage in tow. Dave just wants an easy life. But with Cara's formidable mother-in-law, her sassy daughters and Dave's hapless best friend all against the relationship, can this unconventional relationship survive the age difference and the pressures of the multi-generational household? Can Dave step up and be a proper parent? Should he even try to? Can this unruly bunch live happily ever after as one big happy family? article: Plain sailing for Step Dave and Cara? article: Has Step Dave star Jono Kenyon just hit the big time?